We also picked out my old Sims games, bringing back bad memories. 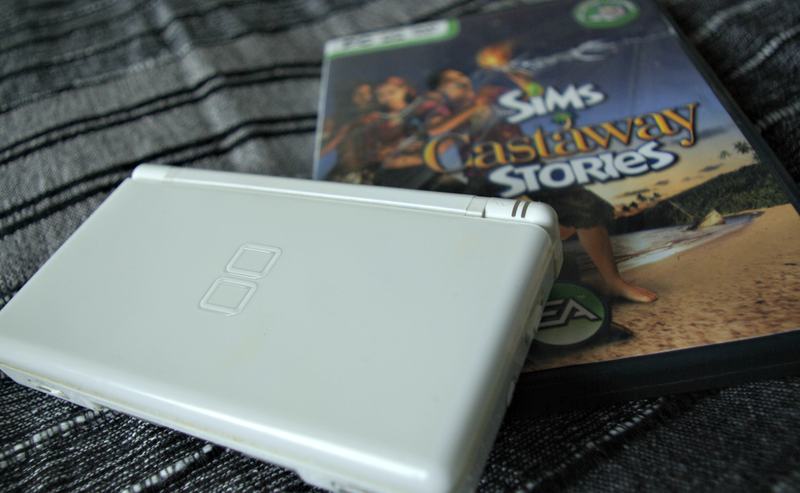 Now, everybody loves or has loved the Sims, but with me it was an unhealthy obsession. I had every single expansion pack for the Sims 2, had Sims 3 pre-ordered months before its release and I was an active member of the 'Simming Community'. I actually ended up finding my old Sims Blog, which epitomises the length to which I simmed. Poor, poor 12 year old Deenie, she hadn't discovered the outside world yet. And then I remembered all my puppies from Nintendogs, by far the best DS game I owned. It was the pre-Bonny days, and I couldn't have been happier to whistle into a little screen and greet my Shiba Inu. Which, by the way, is a beautiful breed and I fully intend to own one when I'm older. I hope you all have a slightly deeper understanding into how tragic my life was and sometimes still is.